The Mobius DApp Store enables users to create an Account. In creating an Account, We may ask you to provide certain information about yourself. For example, you must submit your email address to create an Account. If you request MOBI in exchange for Credits earned via the Services, We may ask for your name, contact information, a government issued ID, and other information required by Our Anti-Money Laundering procedures and Know Your Customer review. Some of the Services enable you to communicate with other people. Those communications will be transmitted through Our systems. Device Information. Mobius automatically collects device-specific information, such as your hardware model, IMEI number and other unique device identifiers, MAC address, IP address, operating system versions, and settings of the device you use to access the Services (collectively, “Device Identifiers”). We may associate your Device Identifiers with your Account. Log Information. When you use the Services or view content provided by Us, We automatically collect and store information, such as the time and duration of your use of the Services, details of how you use the Services, and any information stored in cookies that We have set on your device. Location Information. When you use the Services, We may collect and process information about your actual location. We may use various technologies to determine location, including your device’s IP address, your device’s GPS signal, or information about nearby WiFi access points and cell towers that may be transmitted to Us when you use the Services. Other Information. We may also collect other information about you or your use of the Services, such as the applications you use, the websites you visit, and how you interact with content offered through the Mobius DApp Store and Mobius DData Marketplace. If you would prefer not to accept Session Trackers while using the Services, follow the instructions provided by your website or mobile browser (usually located within the “Help”, “Tools”, or “Edit” facility) to modify you Session Tracking settings. Please note that if you disable Session Trackers, you may not be able to access certain parts of Our Services and other parts of Our Services may not function properly. Web Beacons. In addition to Session Trackers, We may use web beacons (also known as “clear GIFs”), which are transparent graphic images placed on a web page or in an email and indicate that a page or email has been viewed or tell your browser to get content from another server. We use web beacons to measure traffic to or from, or use of, Our online forms, tools or content items and related browsing behavior and to improve your experience when using the Services. We may also use customized links or other similar technologies to track hyperlinks that you click and associate that information with your Personal Information in order to provide you with more focused communications. We may modify and combine Personal Information in a manner that does not personally identify you or any other individual and thus, no longer constitutes Personal Information. We may use this non-Personal Information, such as aggregate user statistics and usage information, for any lawful purpose. Affiliates. 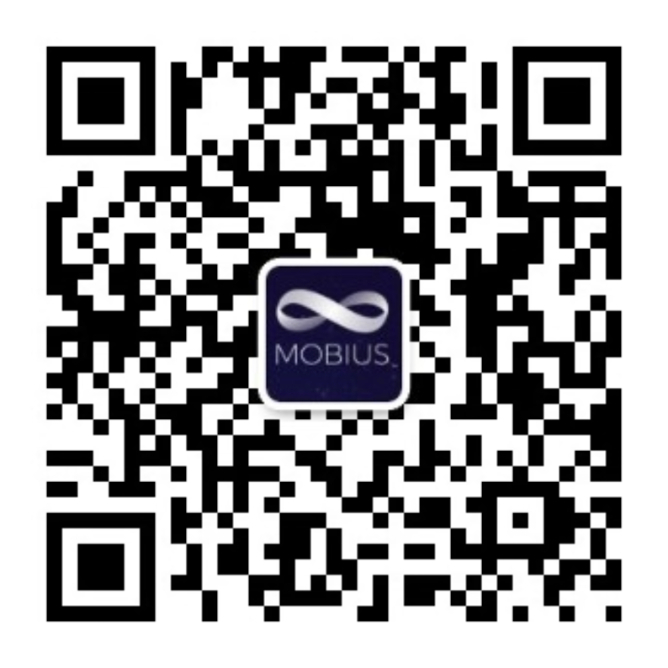 Your information may be shared among Mobius affiliates for the purposes described in this Policy. “Affiliates” refers to companies related to Mochi, Inc. by common ownership or control. Business Partners. We may also share your information with trusted business partners. These entities may use your information to provide services you request or provide you with promotional materials, advertisements, and other materials. Service Providers. We may also share your information to companies that provide services for or on behalf of Us, such as companies that process information or manage or enhance user data. These entities are limited in their ability to use your information for purposes other than providing services for Us. Legal Disclosures. There may be instances when We disclose your information to other parties: (i) to comply with the law or respond to compulsory legal processes or enforceable governmental requests; (ii) to verify or enforce compliance with the policies governing Our Services; (iii) to protect the rights, property, or safety of Mobius, or any of Our respective affiliates, business partners, or customers; and (iv) detect, prevent, or otherwise address fraud, security, or technical issues. Corporate Transactions. We may also disclose your information to a third party as part of a merger or transfer, or in the event of a bankruptcy. With Your Consent. In addition to the disclosures described in this Policy, We may share information about you with third parties when you consent to or request such sharing. We have put in place reasonable administrative, technical and physical measures to safeguard the information We collect in connection with the Services. However, please note that although We take reasonable steps to protect your information, no website, Internet transmission, computer system, or wireless connection is completely secure. You use the Services and provide Us with Personal Information at your own risk. We will not disclose your personal information to third parties for the third parties’ direct marketing purposes. We may also make available to you certain products or services (e.g., apps available through the Mobius DApp Store) developed by third parties. We are not responsible for these third-party products or services. The Services are not directed to children under 13 years of age, and We do not knowingly collect Personal Information from children under the age of 13. If We become aware that a child under the age of 13 has provided Us with Personal Information, We will make reasonable efforts to delete such information in accordance with applicable law. Some web browsers transmit “do-not-track” signals to the websites with which the user communicates, although web browsers incorporate and activate this functionality in different ways, and it is not always clear whether users intend for these signals to be transmitted. There currently is disagreement concerning what, if anything, websites should do when they receive such signals. Mobius currently does not take action in response to these signals. However, when a standard is established and accepted, We may reassess how to respond to these signals.